Understanding how property taxes are calculated is often one of the most confusing challenges for homeowners. Calculations aren't always identical for all local governments, but they often follow some general rules. What Exactly Are Property Taxes? Property taxes are a type of "ad valorem" tax — the term is Latin for "according to value" — so it follows that they're calculated based on an assessment of your property’s value. Local property taxes fund schools, fire departments, and libraries, and they can be a major source of funding for your city or county. Some property tax bills show details on how much of your money goes to specific government and public expenses. Your home's value is determined by your local tax assessor’s office. Property assessments may be done every year or even just once every five years. It depends on state or local law. You should receive your value assessment first, and then your property tax bill a little later. Sales comparison: The assessor will compare your property to other similar properties that have sold in the immediate area in the recent past. He will then adjust for variables that may make your property more or less valuable than those that have sold, such as that designer kitchen you had put in that puts others' kitchens to shame. The cost method: The assessor calculates how much it would cost to reproduce your home from the ground up, including materials and labor. He'll factor in depreciation if your property is older, then add the value of your land. The income method: This is used predominantly for commercial and business properties. The assessor estimates how much income you would expect to receive if the property were rented out based on factors such as costs of maintenance, insurance expenses, and prevailing rental rates. 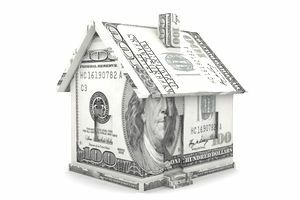 Your property's assessment is then multiplied by the local tax rate, sometimes called a millage rate or mill rate. One mill equals one-tenth of one cent or $1 for every $1,000 of a property's value. Different governments can charge varying mill rates. Rarely is anyone's property tax based on just one mill. Communities often determine how much tax revenue they will require in a given period, then set a mill rate commensurate with raising that amount of money through property taxation. Assume that your property assesses for $250,000. Your local mill rate is 45. Multiply the property's value by 4.5 percent to arrive at your tax bill: $11,250 for the year. If your mill rate is only 15, your tax bill would drop to $3,750 based on the same value. The tax due can be paid as part of your monthly mortgage payment or in annual or semi-annual payments made directly to your local tax authority. Some localities may also accept monthly payments.